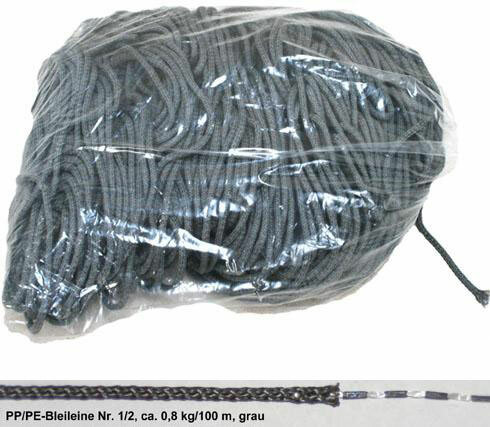 High quality sinking line for gill nets made of PE monofilaments and PP multifilaments. The combination of stiff PE and soft PP makes this line softer than pure PE coated line or PVC coated line but more stiff compared to the PP coated line. Please keep in mind: These lead lines loose approx. 25 % of their nominal weight in water.